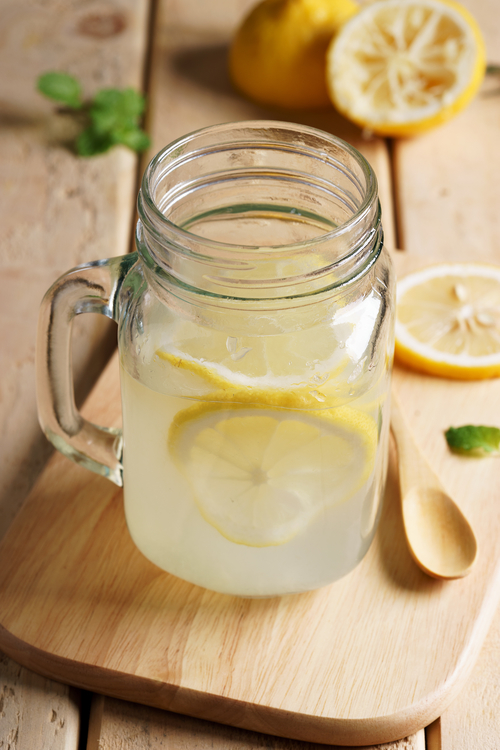 We’ve always thought of adding lemon to water just as a way of giving it a refreshing twist. And while it does make your usual glass of water an extra enjoyable drink, there’s more to it than just the zesty flavor! 1. Lemon water helps your liver. Day in and day out, we try to eat clean as much as we can. But sometimes, we can’t help it when junk food finds its way to our system. Lemon water gives you a great start by aiding your liver in producing enzymes that help establish the detoxification process. 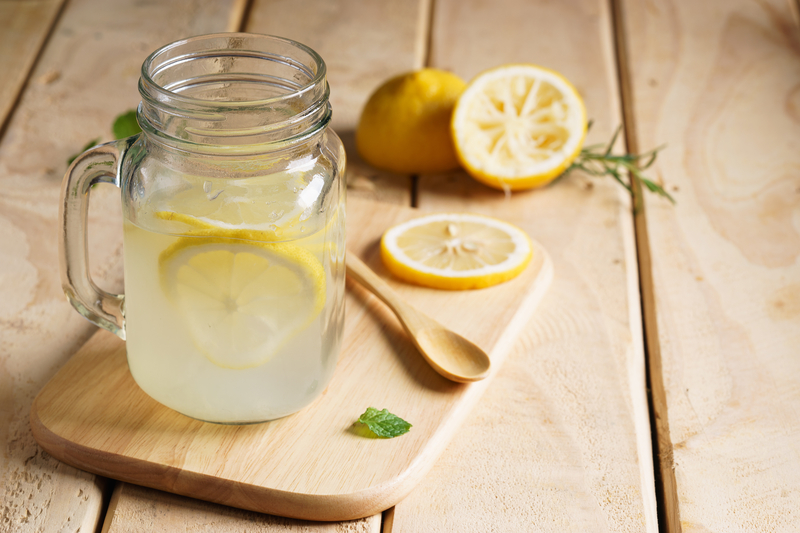 The lemon water also acts as a mild diuretic, so you might find yourself using the bathroom more often – which means you also get to help your body in flushing out most unwanted compounds. Keep in mind though, detoxification takes more than just lemon water (clean eating is also a must! ), so don’t just depend on this drink. 2. It allows you to efficiently digest your food. Lemon water in the morning and after meals will help ease the burden of an overwhelmed tummy. The citric acid contained in the fruit helps break down your food more quickly, and also lets your gastrointestinal tract cope with the digestive needs of your body. Those who often experience heartburn or bloating after big meals will also benefit from lemon water’s ability to hydrate the body effectively and relieve those symptoms of indigestion. Lemon contains pectin, which elevates your fiber levels and helps curb your carbohydrate cravings by making you feel fuller for a longer time. This proves especially helpful for those who want to shed off some pounds. 3. It gives your body an added dose of Vitamin C.
While we do get Vitamin C from various food sources, getting a healthy dose of it regularly from lemon water will help you get your day off to a good start. Having enough Vitamin C in your body means a significant boost to your immune system. If you’re having some respiratory problems like a scratchy throat or an oncoming cold, lemon water can help relieve the effects or prevent it from getting worse. The antioxidants in lemon also improve white blood cell production, which lets your body ‘get ready’ to fight off illnesses. 4. Lemon water in the morning gets you energized, minus the caffeine crash. Coffee in the morning is on most people’s must-have list to get them ready for the day. While the caffeine does perk you up for a couple of hours, its aftereffect when it wears off is definitely noticeable. Lemon water is a great substitute for your morning brew, as it has a high concentration of potassium, which elevates your mood. The infusion also effectively hydrates your body, making you feel refreshed and energized without the ‘caffeine crash’ and the addicting need to consume more coffee. 5. Want clearer, brighter skin? Lemon water can help. Thanks to its antioxidant content, lemon water has become another go-to drink for those who want to clear their skin of acne and other blemishes. Since this refreshing beverage helps in detoxifying your body’s systems, your cleaner body manifests the effects through your skin. The vitamin C in lemon water also aids in the production of collagen, which is what gives you that smooth, vibrant skin. There is no perfect recipe for making lemon water part of your morning consumption. But if you want something ‘friendlier’ for your empty stomach, go with 24 ounces of warm water (not hot or boiling). Squeeze in half a lemon. Drink this 15 minutes to half an hour before breakfast. You can choose to add other ingredients to ‘sweeten’ this tangy drink – either honey or mint leaves usually does the trick. Others suggest adding a few squeezes of lime juice to balance out the taste. Lime, just like lemon, offers lots of benefits – thanks to its amazing amount of potassium, vitamin C, magnesium, calcium, and Vitamin A. Though less tart and more pleasant in terms of taste, lime has less Vitamin C, but it definitely complements what your lemon contains. You know what else would work best with lemon water? Breakfast! Have you tried drinking lemon water in the morning? What do you take yours with?